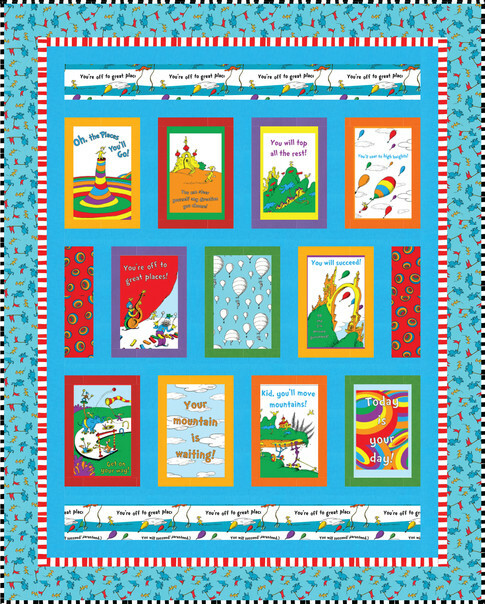 Dr. Seuss illustrations of rainbow colored balloons, trees, and buildings with quotes from “Oh the Places You’ll Go” arranged across a blue and white striped background. 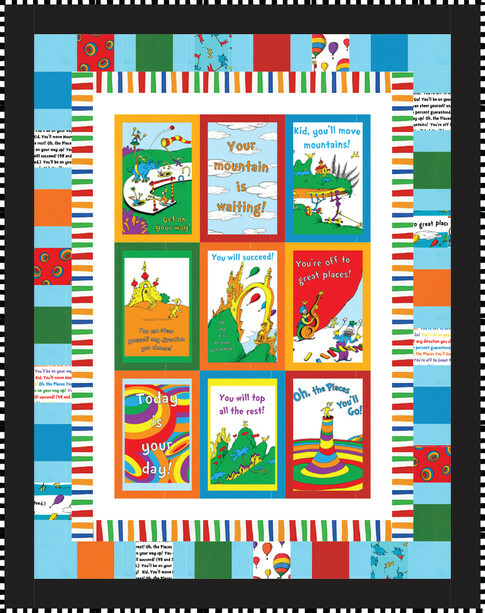 “Oh, the Places You’ll Go” has become a staple of graduation gifts, and for good reason! 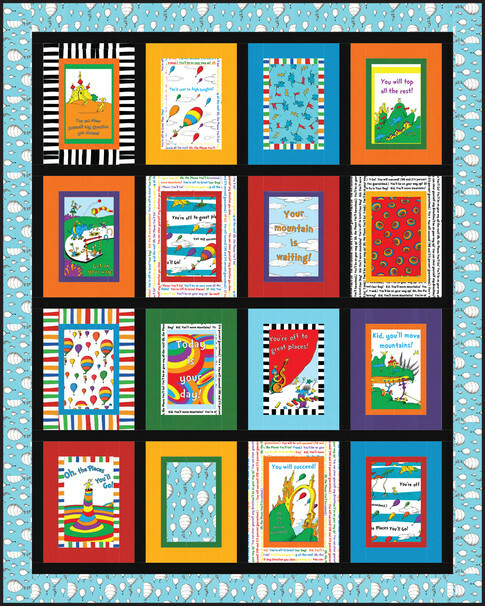 Move mountains and soar to high heights with Dr. Seuss’ whimsical illustrations and vivid colors found in this collection.